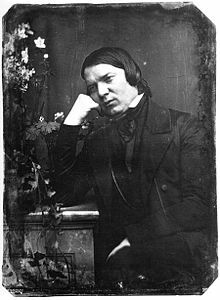 Robert Schumann (8 Juin 1810 – 29 Julie 1856) wis a German componer an influential muisic creetic. He is widely regairdit as ane o the greatest componers o the Romantic era. ↑ Daverio, Grove online. Accordin tae Daverio, thare is na evidence o a middle name "Alexander", which is gien in some soorces.